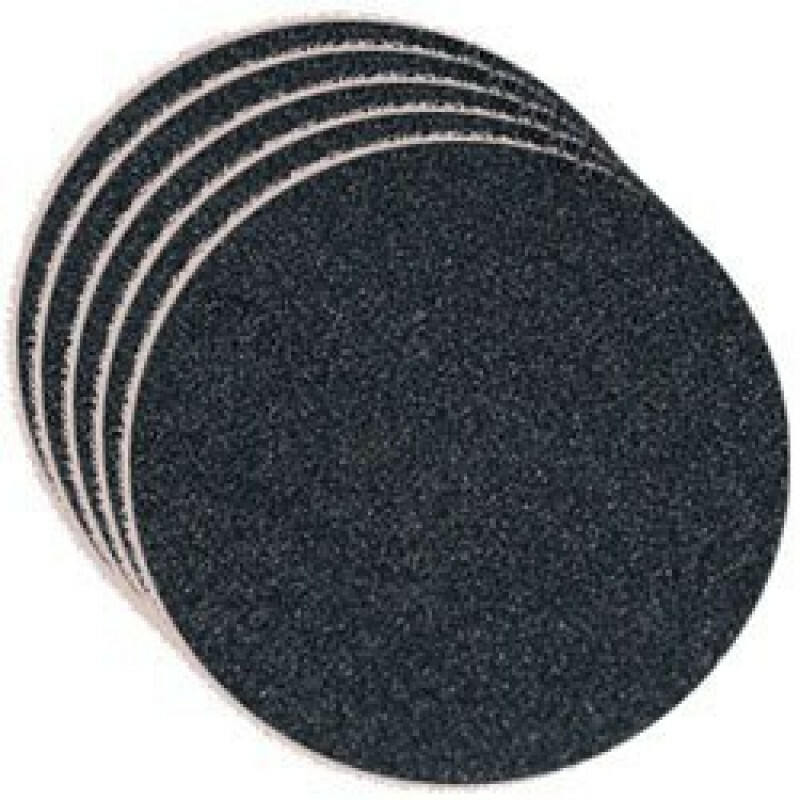 These sandpaper sheets come in packs of 50 sheets, and are meant to be used in conjunction with the velcro holder/driver that fits directly onto the bottom of the OnFloor 17" multi-surface floor refinishing sander. Each individual sheet is actually 6.5 inches in diameter, so you'll need three sheets on your machine at a time (see picture above for what the pad drivers look like on the underside of the machine). These 36 grit sheets are extremely aggressive and should only be used if your floor is finished with a coating that you would like to remove. 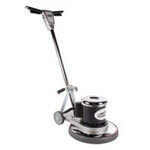 This machine has the power to quickly turn old and new hardwood floors into the warmest rooms in your home or office. The velcro-backed sandpaper attachment offers quick replacement and beautiful results. Unlike a traditional drum sander, our sander uses a planetary motion which always produces a level surface, free from gouges or depressions. The planetary motion means that the 3 sanding heads move in one direction, while the main apron moves in a different direction, this results in a smooth finish, and easy operation for the operator. For a new hard refinishing a new hardwood floor, first use a 50 grit sandpaper, then an 80 grit, and finally finish with a 100 grit sheet. For a complete coating removal, use the same procedure, except just start with one of these 36 grit sheets. For wood floor refinishing, you can just use a 100 grit sheet for optimum results. If these 36 grit sheets are not exactly what you're looking for, please take a look at our complete line of wood floor & concrete refinishing tools for other options.